In his talk he said 10 points that have helped him to avoid defeat in the market. 1. 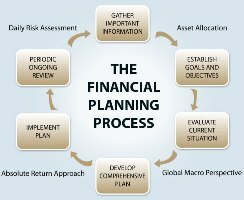 Create a fixed income outside the market for your livelihood. Never be dependent on the income from the stock market because it is volatile. He is applying margin of safety logic even before entering the market. 2. Be informed and read a lot: The market rewards you as per your perception. If you think investing is a gamble, then it is a gamble. If you think it is a business, then it is a business. Read a lot and be a maniac when it comes to reading; it will help you connect the dots. Warren Buffett once held up stacks of paper and said he read "500 pages like this every day. 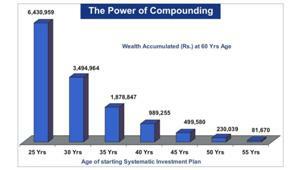 That's how knowledge builds up, like compound interest." to invest 25% of your savings in stocks, invest 12% to 15% as it is a risky business. Also you should only invest a certain amount based on your risk-taking capacity. Trading is a 24-hour business. Don't invest from borrowed money. Don't trade just because you see someone making money by trading. Rome was not built in a day. It takes time for a story to mature. I always invest in small caps that go on to become mid to large caps. Whenever I bought a small cap, people discouraged me. No one liked the stock. For two years the company went nowhere; after that it gave multibagger returns. If you invest with the best management, you don't have to worry. Management is playing golf, and we investors are worrying 24 hours about what will happen to the company, looking at the dollar, macro, etc. What is the use of being an investor? Let management worry because management has its prestige and its name at stake. Good management in bad business is better than bad management in good business. Example: Indigo Airlines. 7. Your investment belongs to the market and the profits belong to you*: As long as you are invested, the profits belong to the market. Don't spend just because the stock has risen because tomorrow stock prices can collapse. 9. Keep a balanced mind: Don't be happy in an up market, and don't be sad in a down market. Be physically, financially and mentally sound.He explains how one should avoid regret. He says a stock can go up after you sell it. Don't regret. The stock market is a place of regret. You make money, you regret. You lose money, you regret. You make less money, you regret. That is why it is very important to keep a balanced mind. 10. Luck plays a crucial role. Do good karma: Be a good human being. The stock market is a mind game. If you are doing good karma, it will come back to you.